The government on Friday announced four proposals on reforming the national pension scheme, mainly focused on maintaining a balance between reinforcing recipients’ benefits and securing the fund’s stability. The Ministry of Health and Welfare’s sudden announcement came amid concerns over fund shortfalls, as Korea’s declining birthrate and increasing life expectancy make for a society aging faster than ever. Under the current national pension system, the world’s third-largest fund could be depleted by 2057. 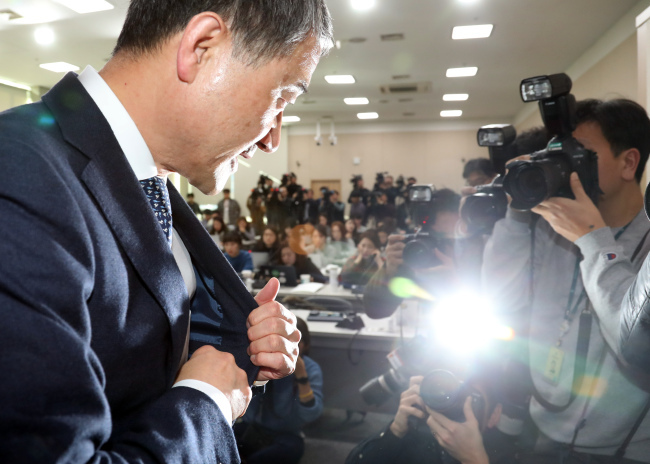 The ministry proposed revision proposals in November, centering on raising insurance premiums, but President Moon Jae-in called for a re-examination of the scheme, saying they did not adequately reflect public opinion. Four weeks later, the ministry narrowed down options to four proposals based on public opinion as collected from various discussion sessions and surveys. The first proposal seeks to maintain the current system with an income replacement rate set at 40 percent and insurance premiums at 9 percent. The basic pension for the elderly would be increased to 300,000 won ($265) per month in 2021. A survey of 2,000 people insured under the national pension program showed 47 percent favoring maintaining the current system. The proposal, however, faces criticism that it cannot delay the upcoming fund shortfalls as the insurance premiums would stay the same. 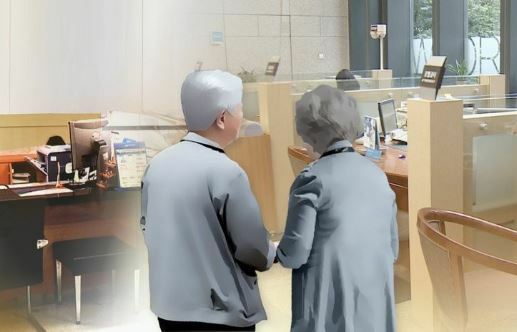 The second proposal would only increase the basic pension to 400,000 won in 2022, leaving the income replacement rate and insurance premiums the same as the first. Beneficiaries could get the largest sums of money in the second plan, but it also adds to the financial burden on the country. To secure the basic pension’s finances, the government should collect more taxes on each person. The second plan also cannot prevent the fund from running out of money by 2057. The third and fourth plans focus on increasing the insurance premiums and income replacement rate at the same time. Under the third plan, insurance premiums would be raised to 12 percent with the income replacement rate set at 45 percent. The fourth option would increase the premiums to 13 percent and set income replacement rate at 50 percent. The 300,000 won basic pension would remain the same as in the current system. The third and fourth plans can postpone the scheduled date of fund shortfalls to 2063 and 2062, respectively, by collecting more money. The plans, however, could face public outcry as people would pay higher insurance premiums. Among respondents of the recent survey, 63 percent said the current insurance premiums are already burdensome. Meanwhile, the ministry said it would guarantee the payment of the national pension by a written clause in law in a bid to increase credibility of the fund. The move came after 92 percent of survey respondents agreed on the necessity of the guarantee, according to the ministry. If the proposals are approved at next week’s Cabinet meeting, they will be sent to the National Assembly by the end of December. The legislature is expected to proceed with the revision of the National Pensions Act in the second half of 2019.